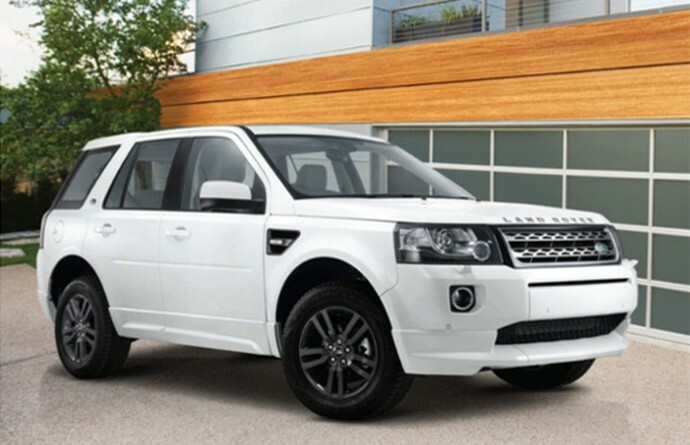 Tata’s adopted monster makers, Land Rover, have launched their new SUV, the Freelander 2 Sterling Edition in India. The car is priced at 44.41 lakh(Ex-showroom Mumbai). Land Rover also completes five years in India, and this SUV is a celebration of these five years. This exclusive variant powered with a 2.2 litre Diesel engine (150 Hp) offers a slew of exterior upgrades, further enhancing the unique visual appeal of the premium SUV. The new cars come with visual uplifts to give it a more Sporty appeal. It flaunts sporty exterior features such as 17” Five-Split Spoke alloy wheel with anthracite finish, dark atlas grille, dark atlas fender and side vents, tailgate spoiler, front and rear apron, lower door claddings and a single tailpipe with a bright finish. The Sterling Edition will be available in limited numbers, so if you have half a crore to spare then you better hurry up to your nearest Land Rover dealership.